I'm a Senior Robotics Engineer at Built Robotics, where I develop autonomous excavation vehicles. 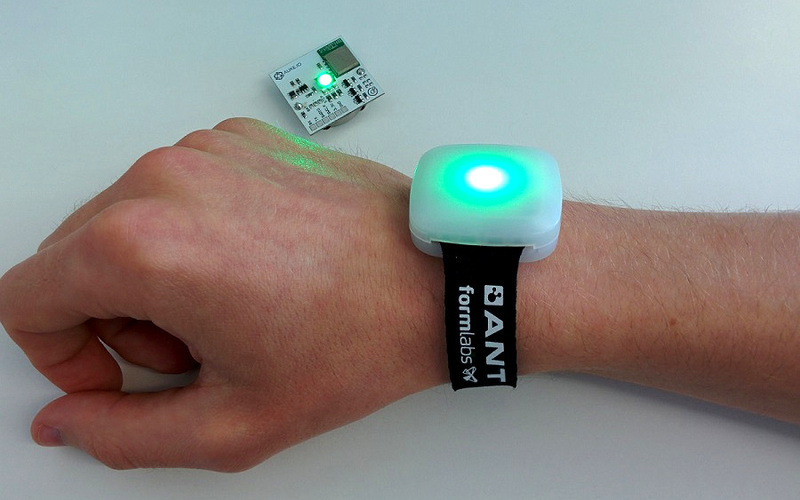 A social wearable device that’s sparked conversations at a conference with over 1,500 attendees. An interactive art installation on permanent display at the Tech Museum of Innovation in San Jose, CA. Several prototypes and concepts for Brazil’s second-largest cosmetics company. I studied engineering at Cornell University. I used to do independent contract work, but these days I'm more focused on my full-time job. I'd love to have a drink and talk about your project though! Email me at aargondizza@gmail.com if you want to chat. I live and work in San Francisco, CA. If you're in the area, say hi! Alike - June 2015 - Wearable device for augmenting in-personal social networking. 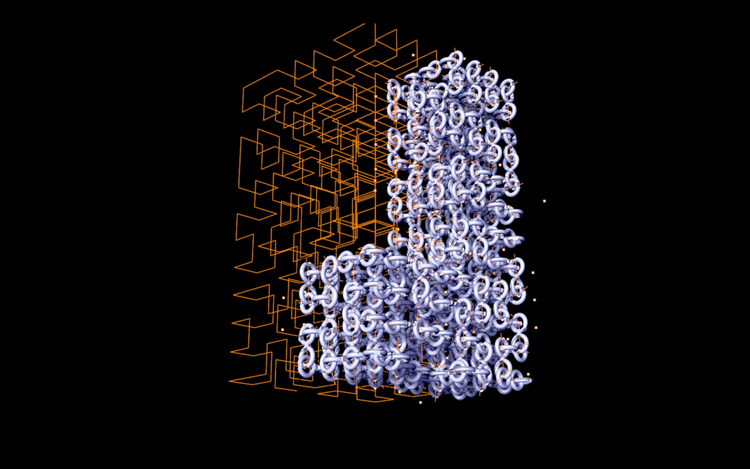 Hyperform - September 2013 - Design and research project about computational material folding. 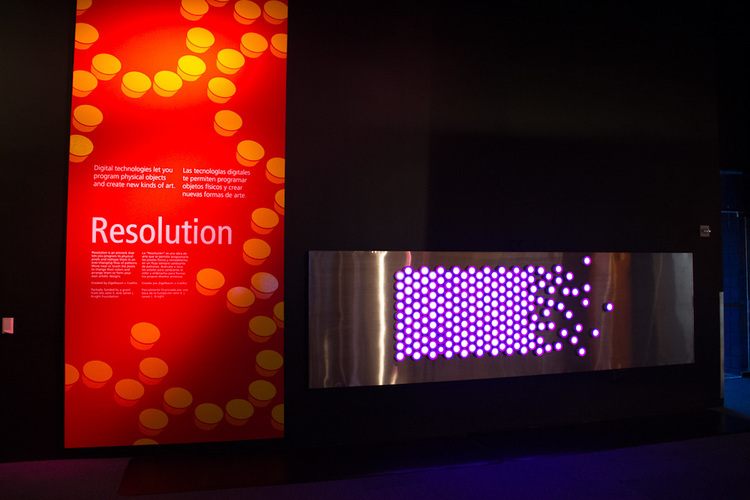 Resolution - September 2012 - Interactive digital artwork made of tangible pixels that respond to touch. Birdhouse - August 2014 - Electronic artwork that engages your sinister side. Life Cheat Sheet - January 2013 - Concept for time management system. Lock Eyes - December 2014 - Hypnotizing artwork that traps your gaze. 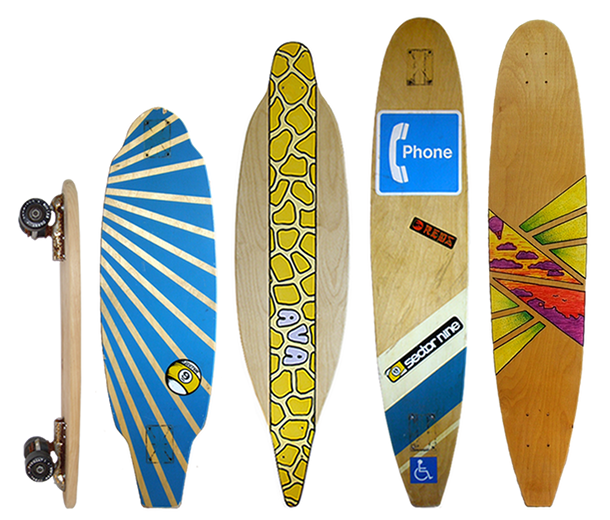 Custom Skateboards - August 2010 - Custom skateboards for cruising and commuting. Pulse - December 2012 - Interactive artwork concept exploring the natural phenomenon of entrainment. Hydraulic Hexapod Robot - January 2011 - Demonstration of artificial muscles for small mobile robotics applications. Wafer Fixture - July 2011 - Machined fixture for holding a porous wafer used in oil-water separation research. Illustration - May 2007 - Logo designs for a student-run radio station’s promotional materials. 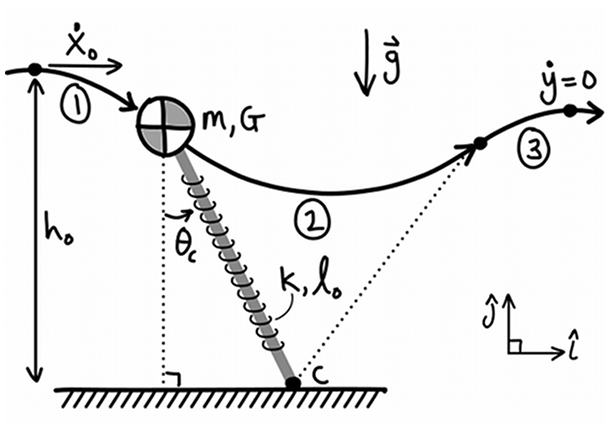 Hopping Robot Simulation - May 2010 - Matlab simulation of a robot using the spring-loaded inverted pendulum model. 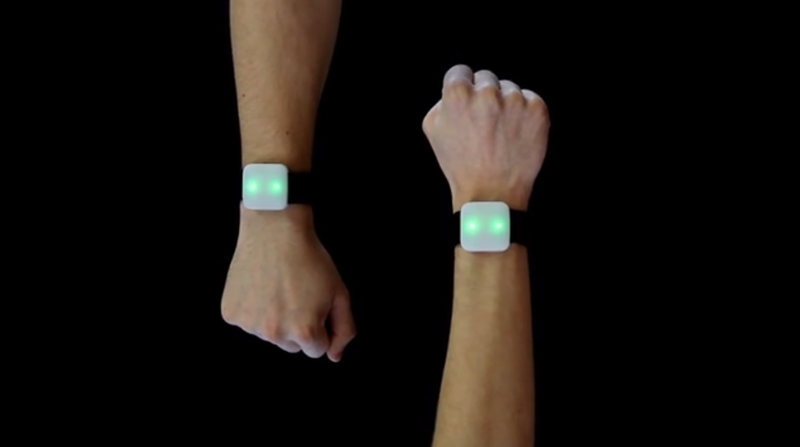 Alike (alike.io) is a wearable device that brings the power of social networks to the physical world. Each Alike device holds a unique user profile. When two people come into close proximity of each other, their devices exchange information and glow to indicate if they are a match. 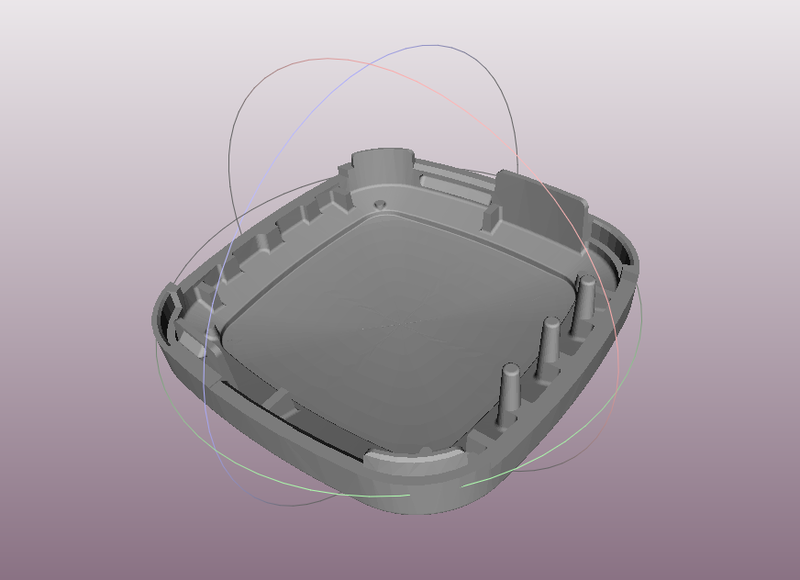 3D model of wristband enclosure as designed for injection molding. The enclosure is made of two identical parts - each half is capable of mating with itself – to cut down on mold costs. From development kit... to alpha release! 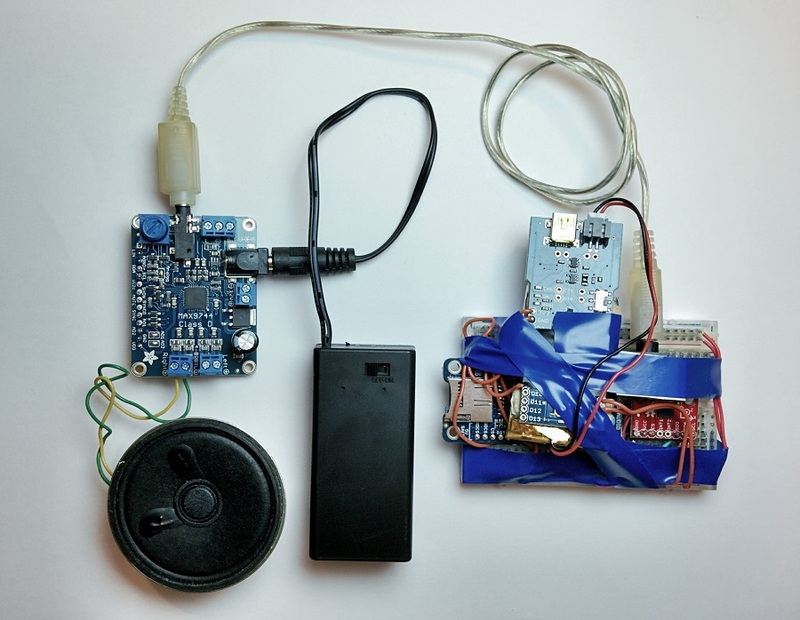 Left: a hacked radio SoC development kit prototype. Right: the resulting PCB I designed, used for actual product deployments and user testing. Final product ready for deployment. Enclosure shown above is final injection molded enclosure. Alike was used by attendees of O’Reilly Media's Solid Conference held in San Francisco, June 2015. We manufactured over 1,200 wristbands for the conference in partnership with ProtoLabs, ANT, Formlabs, and Seeed Studios. Alike is a product of Marcelo Coelho Studio. My role on the project involves firmware development, electrical engineering, mechanical engineering, design for manufacturing, and some interaction design. Hyperform is a design and research project that identifies computational and material folding strategies to allow large scale objects to be compressed into a minimal volume to maximize the printing capability of desktop 3D printers. Individual chain-link elements were designed separately from the folding strategies and required many iterations to perfect element connection strength and the structural integrity of the overall object. 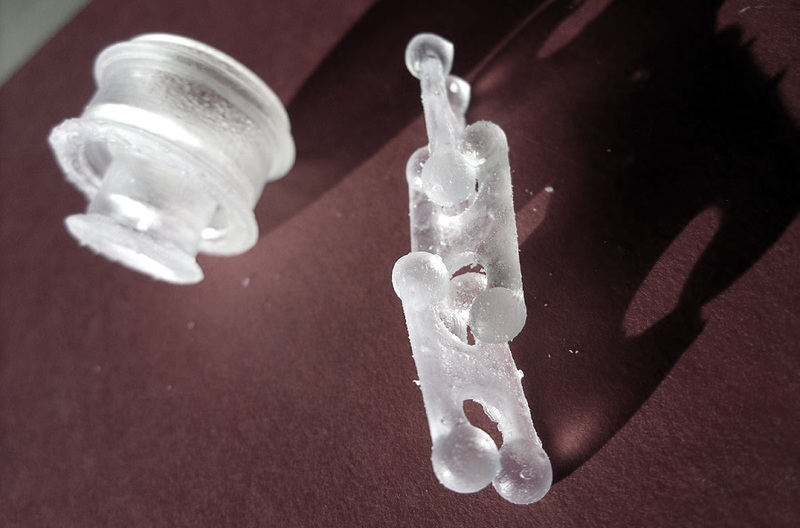 My role in this project involved a significant amount of 3D modeling with SolidWorks, 3D printing with the newly-released Form1 printer, and a bit of design development. Hyperform pushed the capabilities of existing fabrication techniques. As we discovered new possibilities and limitations, we fed these insights back into our designs. Sketching from the concept development process. One of the main challenges of the project was designing a unit element that could be printed in many multiples, assembled, and locked in place. Prototype chain link elements, fresh from the 3D printer. We also tested an expanding telescoping mechanism design, shown at far left. Chain link elements, assembled. 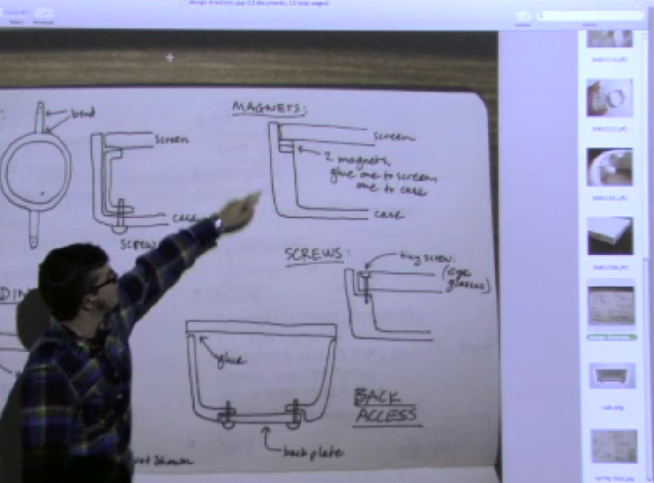 Telescoping mechanism design, expanded. 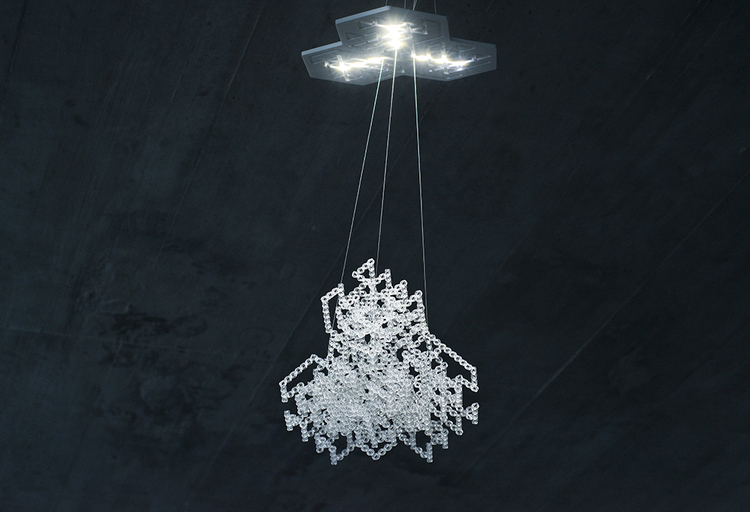 Hyperform was a collaboration between Marcelo Coelho, Skylar Tibbits, Natan Linder and Yoav Reches with the support of Ars Electronica and Formlabs. Resolution is an interactive light installation where physical pixels are round units, rather than squares. 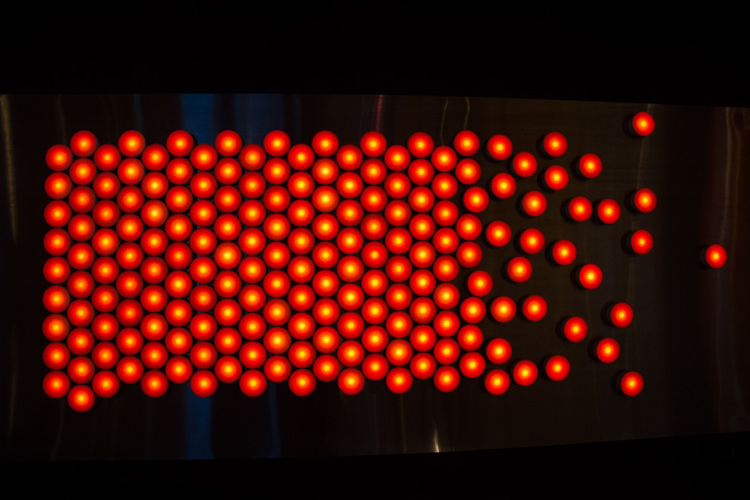 Each pixel is magnetic and can be moved around on a steel wall. Colors change as you touch the pixels, cycling through warm and cool palettes. To build this piece, we used design and manufacturing techniques commonly used to produce consumer electronic devices. An injection-molded enclosure holds components together; the printed circuit board inside was professionally fabricated and populated. I was responsible for the mechanical design and assembly management of the piece. I presented the studio's work on Resolution to graduate students at the MIT Media Lab as a part of a course called Hands-On Foundations in Media Technology. The course provides exposure to basic skills needed to perform research at the Media Lab; my presentation was part of the Design and Fabrication module. The video can be viewed here, along with videos from the other modules in the course. Presenting the studio's work on Resolution at the MIT Media Lab. Here I'm showing some of my early sketches from the brainstorming process. Resolution was commissioned by the Tech Museum of Innovation in San Jose, CA, where it is permanently installed. Please visit the Marcelo Coelho Studio website for more information. 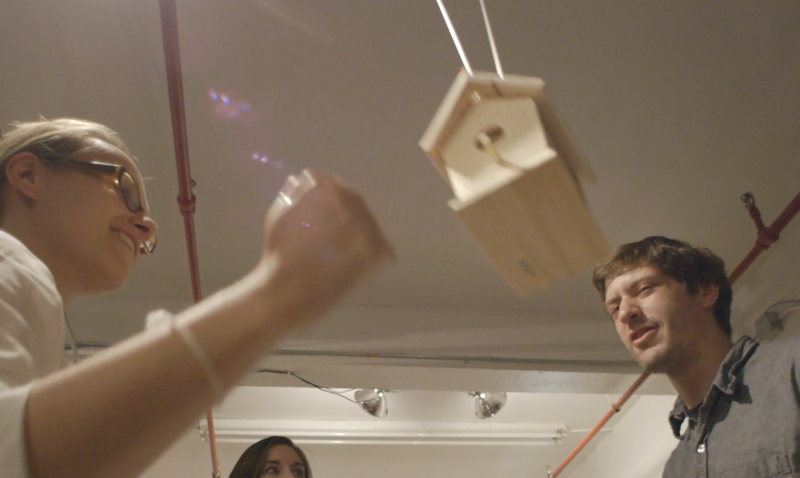 Birdhouse is an interactive sound sculpture that helps curious participants get in touch with their sinister side. A gentle tap on the birdhouse stirs the bird inside. A vigorous shake, and the bird is in distress. I created this piece for the first Curious Sound Objects show, organized and curated by Nickolas Peter Chelyapov. Curious Sound Objects is an exhibition series that showcases interactive and sculptural sound-emitting pieces. Please visit Curious Sound Objects for more information. Arduino Fio, rechargeable lithium battery, accelerometer, VS1053B MIDI decoder, audio amplifier, 9V alkaline battery, speaker. 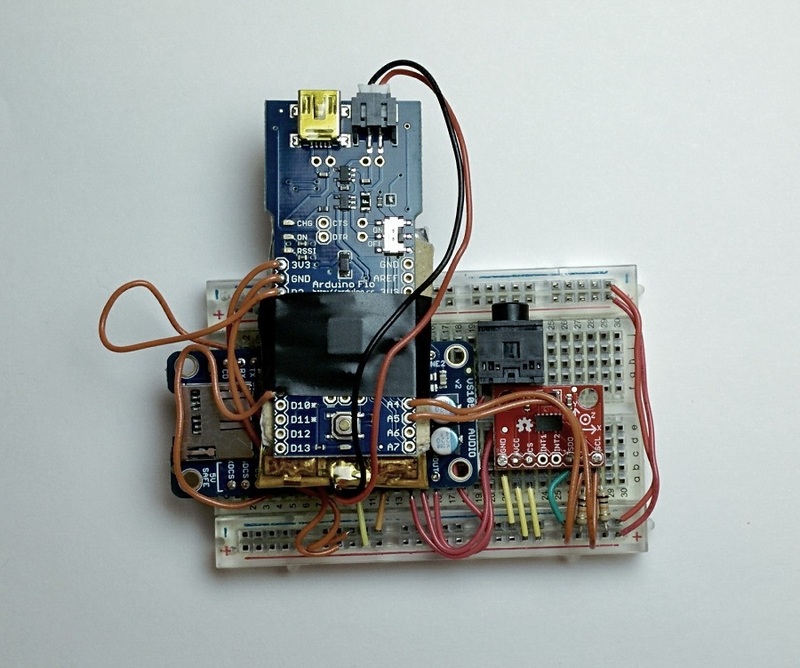 The Arduino was programmed to read accelerometer data and categorize movement as varying degrees of disturbance. These varying levels of disturbance triggered MIDI sequences that were interpreted by the MIDI decoder and synthesized into an audio signal. When I have too much stuff I want to do, I try to turn into a computer program. I had this idea one summer when I was working two jobs. I called it “Life Cheat Sheet.” The idea was you could just look at this thing and know exactly what to do next. 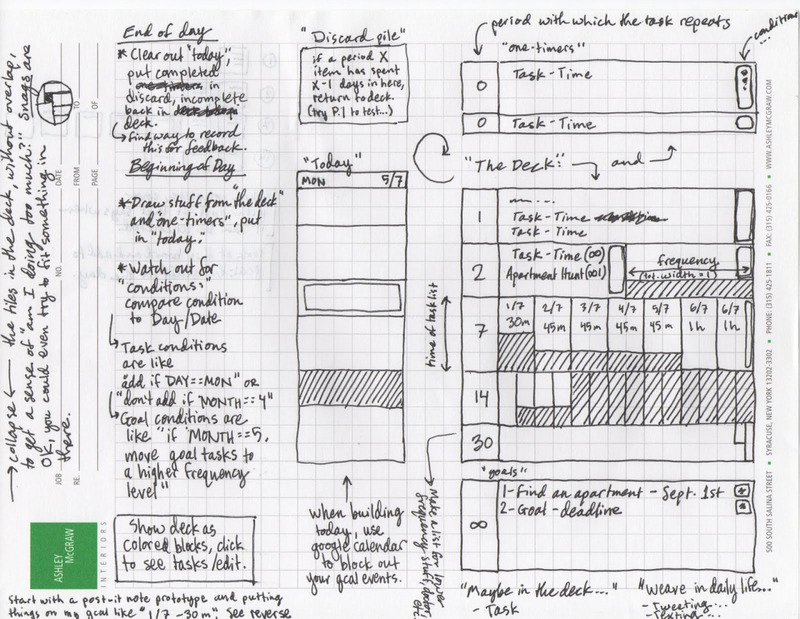 Eventually it would be a piece of software, but it could be prototyped in paper. The goal was to make sense of a set of things I'd like to do regularly: abstract statements like “I would like to do underwater yoga more often.” Ok, great, sounds wonderful. Classes are two hours long. How often will I go to class? I’ll say every week, or a period of seven days. But then I make a new years resolution to read a new book every week, and that takes another few hours out of my week somewhere, but where? I think the golden feature was to be able to press a button and find out if it would actually be impossible to do all the things I wanted to do. I’ve since calmed down a bit. These days I’m more “I’ll eat when I’m hungry” than “I’ll eat with period 1/3 days for 30 minutes each instance.” Regardless, it was a fun design project to work out. The full-res photo is on my Tumblr. Lock Eyes is a hypnotizing artwork that traps the gaze of the participant. When you look into the eye, ominous rhythmic and droning music emanates from within. 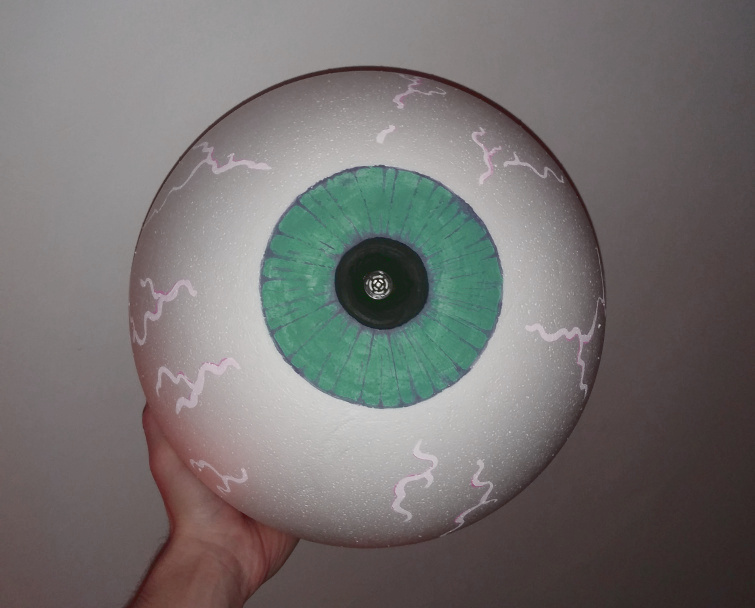 As you pull your face closer, the sounds intensify and you feel the reverberations; the eyeball is locked comfortably in your hands. I created this piece for the second Curious Sound Objects show, organized and curated by Nickolas Peter Chelyapov. Curious Sound Objects is an exhibition series that showcases interactive and sculptural sound-emitting pieces. Please visit Curious Sound Objects for more information. I've been riding, building, and dreaming about skateboards since high school. Before I was even interested in engineering, I saw a friend's board and thought "hey, I could probably make one of those." So I did. The first board I made was inspired by a Sector9 shape. I traced the shape from a folded paper design, used a jigsaw to cut it out, and rounded the edges with some rough grit sandpaper. It was pretty clunky. Since I built my first board, I've refined my process. I use a router and template to get smooth edges that I can endlessly reproduce. I’ve built a number of skateboards for myself and for friends. Pulse is a concept for an interactive installation developed by Zigelbaum + Coelho, a design studio formerly operated in Cambridge, MA. Pulse eventually evolved into Triangular Series, by Jamie Zigelbaum. The installation would consist of one hundred illuminated towers that protrude through the floor of an empty space, pulsing with heart rate of visitors. Heart rate would be sensed by touching the largest towers. 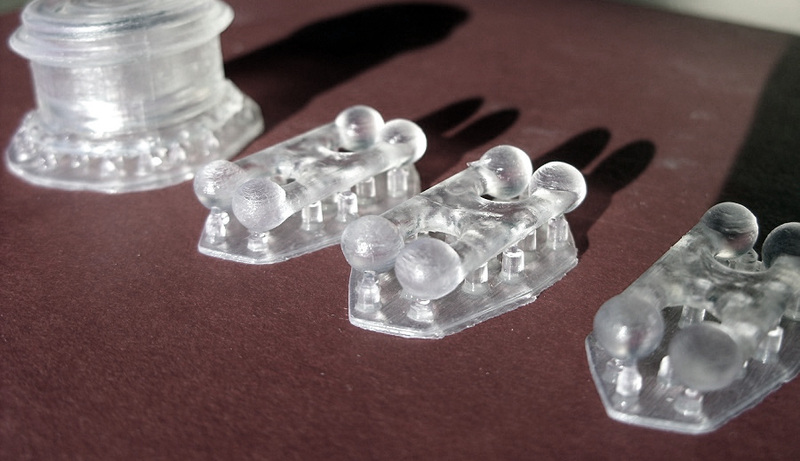 I helped design and render a few prototypes, and coordinated fabrication of components. Prototypes were made of CNC-milled anodized aluminum, proximity sensing electronics, ultra bright LEDs, and acrylic diffuser materials. 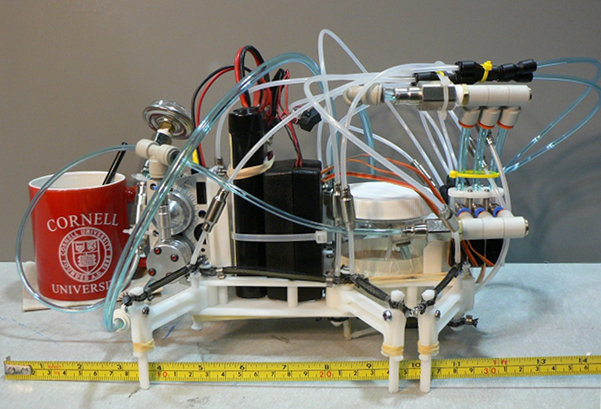 A proof-of-concept robot demonstrating the feasibility of combining McKibben-style artificial muscles with a hydraulic system to provide actuation for a small mobile robot. The robot sports an onboard low pressure hydraulics system sold by MTH in Austria. The hydraulics system is designed for powering a model aircraft's landing gear; we thought it would be cool to power a robot with it. In the video above, a fishing line gives the robot a weight reduction of approximately 300 grams, to compensate for an oversized battery and hydraulic reservoir. This was developed for a design project in Cornell University's Laboratory of Intelligent Machine Systems. Special thanks to James Paulos, Michael Meller, Rashi Tiwari, and Prof. Ephrahim Garcia. I machined these parts for a research group at the Massachusetts Institute of Technology that was investigating oil-water separation. The two mating rings were designed to gently hold a delicate porous wafer and also create a watertight seal with the wafer's edge. The luer-lock connection was designed to allow fluid access to one side of the wafer. I created these logo designs for WPEA, Phillips Exeter Academy's student-run radio station. These logo designs appeared on promotional materials such as shirts, CD wallets, and posters. "Welcome to Bizztown" was a hit radio show on WPEA starring Dieter Brommer and Alan Argondizza. 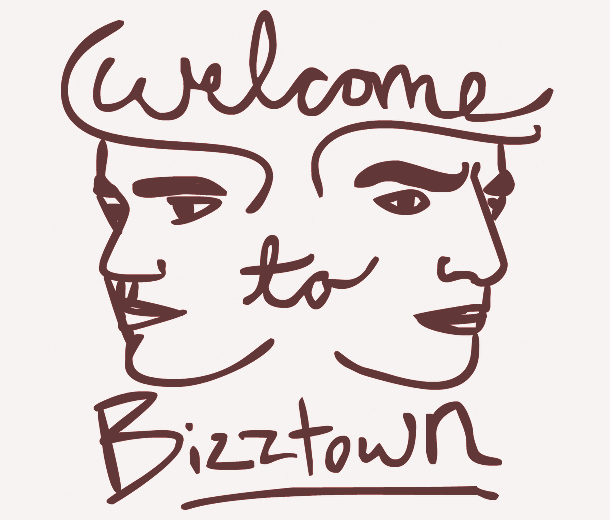 Welcome to Bizztown aired in 2006. 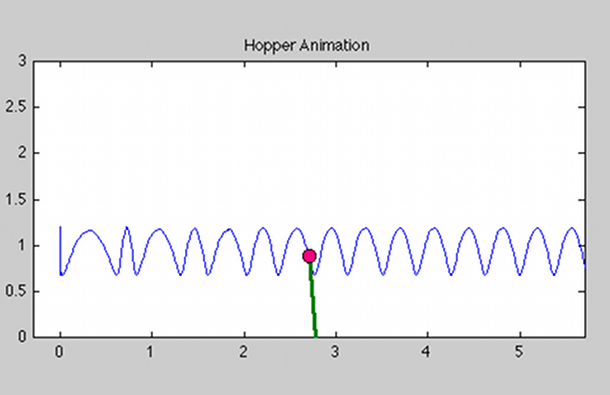 For a class in legged locomotion taught by Andy Ruina at Cornell University, I wrote a matlab script that simulates a hopping robot. The control algorithm was developed by Marc Raibert, founder of Boston Dynamics. The matlab simulator solves the equations of motion in three separate flight phases, then joins them together to form one smooth trajectory for one gait cycle. It passes the final velocity and height from the first gait cycle to the second, and so on, adding the new trajectory data to the old data. The problem setup and problem statement show how the three phases of flight are defined. 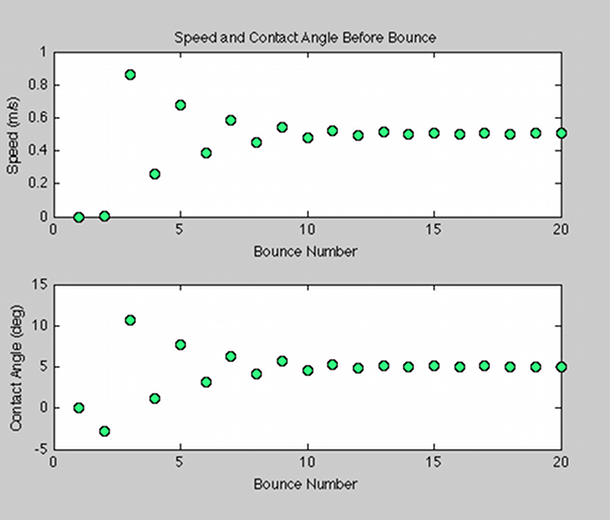 Simulation results show that the controller is capable of stabilizing the motion of the hopping robot.